Cuba's premier dance band returns to the US with a full lineup featuring three of founder Juan Formell's children: drummer / timbalero Samuel Formell, bassist Juan-Carlos Formell and the newest addition, the family's youngest daughter, lead vocalist Vanessa Formell. We anticipate that her voice, beauty and her energetic style will increase the adrenaline in all shows. After the passing of Juan Formell, the legacy remained in the hands of his son, Samuel Formell. Samuel has been following the footsteps of his father as musical director of the band. 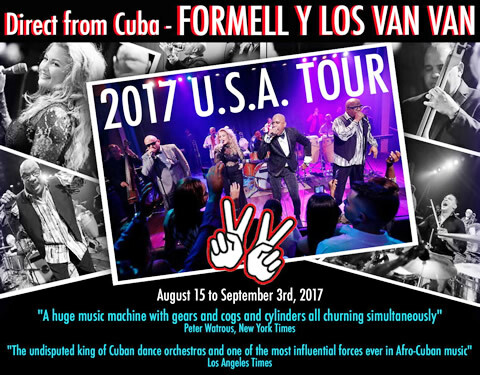 On this tour he brings LVV's most recent musical production entitled "Los Van Van son la patria" from Cuba’s Egrem label, a collection of danceable tracks incorporating innovative, contemporary arrangements of Juan Formell’s hits and new compositions from different members of the band. For presenters interested in including the legendary Pedrito Calvo as guest singer in any show, please contact www.Searockmusic.com (info below) to discuss this in advance. Pedro Calvo is the most recognized singer of Los Van Van in its first 40 years and and one of the most famous interpreters of contemporary Afro-Cuba music. 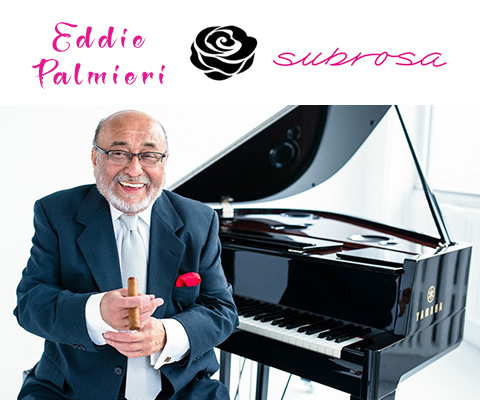 New York City gets a heavy Latin Jazz boost with the announcement of "Eddie Palmieri Presents Afro-Caribbean Jazz Mondays", a new series of musical performances, beginning April 17th running through August 14th, 2017 (every Monday) @ 8pm & 10pm at SUBROSA, located at 63 Gansevoort St, in New York City. 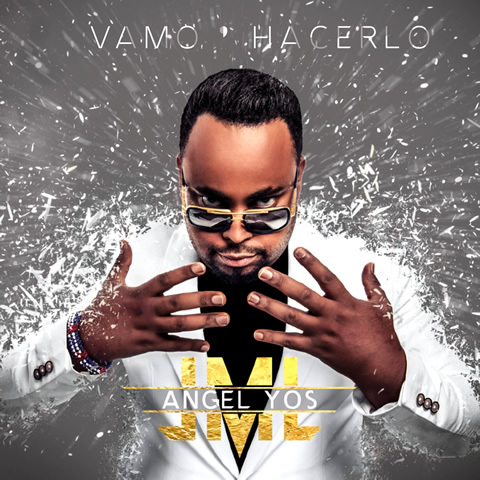 Paris, France based Cuban singer songwriter Ángel Yos is about to release his new album entitled VAMO' HACERLO (Let's Do It!). Click on the album cover below to visit his official website. 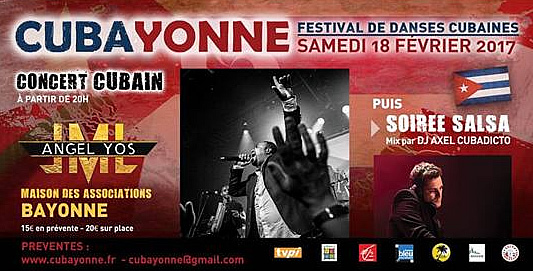 The album is a collaboration of French and Cuban musicians recorded in both locations. All recodings in Cuba were engineered and mixed by Amaury Pérez, the trombonist famius for his work with Habana D'Primera. Here is PART 1of the "Making Of" for this new record. El cantante cubano basado en París, Francia -- Ángel Yos -- está a punto de lanzar su nuevo álbum titulado VAMO 'HACERLO (Let's Do It!). Haga clic en la portada del álbum para visitar su página web oficial. El álbum es una colaboración de músicos franceses y cubanos grabados en ambos lugares. La ingeniería y bragación en Cuba fué ejectucado por Amaury Pérez, el trombonista famoso por su trabajo con Habana D' Primera. Aquí está la PARTE 1 del "Making Of" para este nuevo disco. As part of the first edition of the Cubayonne Festival, we invite you to take a direct flight to Havana with this great concert evening which will take place in the space Saez of the House of Associations of Bayonne! SATURDAY, FEBRARY 18. Featured: Angel Yos y la Mecanica Loca! As a special bonus his new album VAMO' HACERLO! will be available as a pre-release! Angel Yos & LML brings us into his world salsero with pieces mixing power and subtlety, rumba and funk, timba and salsa romantica. A musical richness to the height of the 13 musicians of the group. To animate the before and the after, a recognized DJ of the scene Salsa: Axel Cubadicto! Possibility of fpasses for the salseros who wish to participate in the day classes! Drinks and snacks services during the evening. Como parte de la primera edición del Festival de Cubayonne, os invitamos a tomar un vuelo directo a La Habana con esta gran velada de conciertos que tendrá lugar en el espacio Saez de la Casa de Asociaciones de Bayona! SÁBADO, 18 DE FEBRERO. Destacados: Angel Yos y la Mecanica Loca! Como un bono especial su nuevo álbum VAMO 'HACERLO! Estará disponible como pre-lanzamiento! Angel Yos & LML nos trae a su mundo salsero con piezas mezclando poder y sutileza, rumba y funk, timba y salsa romantica. Una riqueza musical a la altura de los 13 músicos del grupo. Para animar el antes y el después, un reconocido DJ de la escena Salsa: Axel Cubadicto! Servicios de bebidas y aperitivos durante la noche. 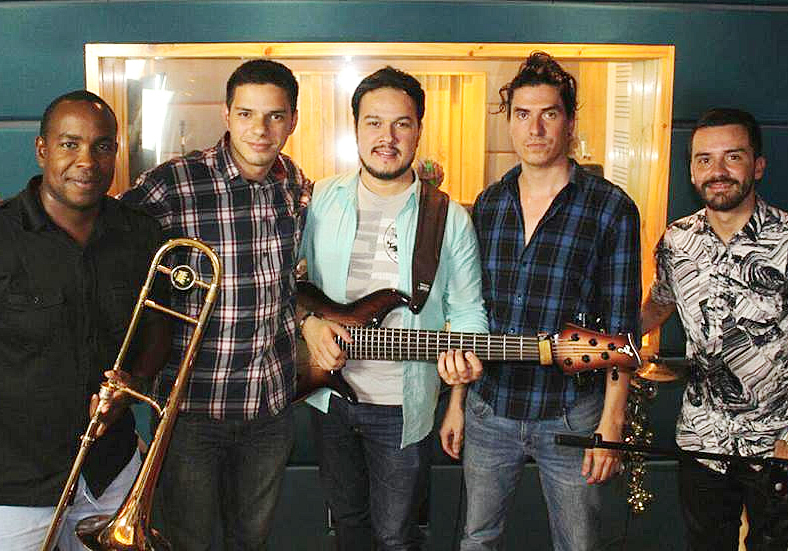 Led by Cuban trombonist Andrés Fernández, the CuJazz Ensemble is a new musical project that brings together talented Costa Rican musicians, receiving the cubop legacy of greats like Dizzy Gillespei, Chino Pozo, Frank Emilio Flynn and Machito. Two cultures united by the same musical language exposing their experiences with a universal approach. The Cujazz ensemble combines Andrés Fernández's original compositions with jazz standards from the 1940s, sprinkled with influences from Afro-Cuban jazz, bebop, cooljazz, modern jazz, plus elements of Latin American music and the Caribbean. Danceable, intellectual, full of chants and colors that immerse you in the journey of a musician who was born in Cuba and has enriched his language throughout the world.